It’s feather-light soufflé texture extends seamlessly across the skin for a transformation you can see and feel. Pores appear virtually erased, the appearance of fine lines are reduced and skin feels peachy-soft. No need for a foundation brush as it is easily applied with your fingers! It does not break me out. It did not leave that greasy feeling which a lot of mousse foundations do! 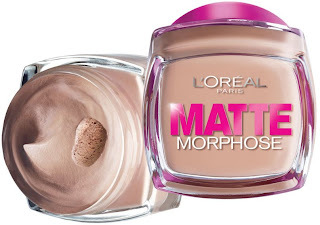 In my opinion it is very affordable as it is roughly priced around the £10 mark and as I previously said, a little bit goes a long way with this foundation resulting in it lasting you for months! Quick and easy to apply if you're in a rush! Packaging is simple and makes the product look much more expensive than it actually is. If you have dry skin I would advise moisturising beforehand as otherwise the foundation may appear flakey in certain areas of your face. If you overdo it may shine. So you need to set it with powder/compact. If you're pale like me it is a bit tricky to find a shade which is your exact match. Great foundation. Easily lasts 6-7 hours. Good value for money. Would you repurchase? YES. Definitely! I really wanted to try this but I never got around to buying it!